As he manipulates a skinny pick to defeat a lock, Schuyler Towne wants to make one thing very clear: real locksporters abide by a strict code of ethics: "Never pick a lock you don't own and never pick a lock that's in regular use." 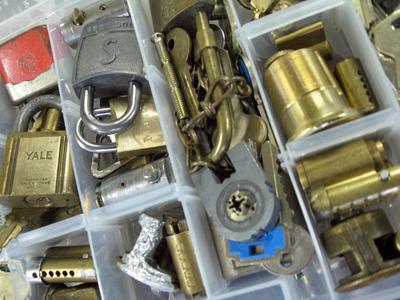 Towne owns a heap of locks. Dozens, made of brass and steel and stamped with common brand names like Masterlock and Yale, cover a table at this hacker space in Somerville. He's here building a "lock library" so people can study — and conquer — the devices' inner-workings. He refers to them as tiny puzzles. Like hackers, 25-year-old Towne has an affinity for cracking security systems. 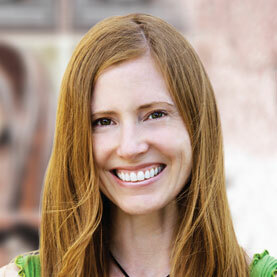 For computer-types, it's code. For him, it's mechanical tumblers and pins. "It's very tactile, it takes a lot of patience," he says. "It's the sort of thing that I like to do down at the bar with some friends — having a beer and picking some locks." Towne says this casually, but get him talking about competing and he amps up. "I pick low- to mid-security locks very, very, very, very quickly, very quickly, as quickly as I possibly can," he says. "I have my tools custom made so that I can pick locks faster; I practice obsessively so that I can pick locks faster." Faster, so Towne can beat his rivals in a handful of lock-picking contests each year. There's "The Dutch Open" in the Netherlands and a few others at hacker conventions, such as Defcon in Las Vegas. Schuyler does well there. One year he even gave a comprehensive lecture: "Locksport: An Emerging Subculture." Towne is fully dedicated to spreading the word about locksport. While competitive picking is accepted in countries such as Germany, it's still underground in the U.S. and Towne wants to change that. 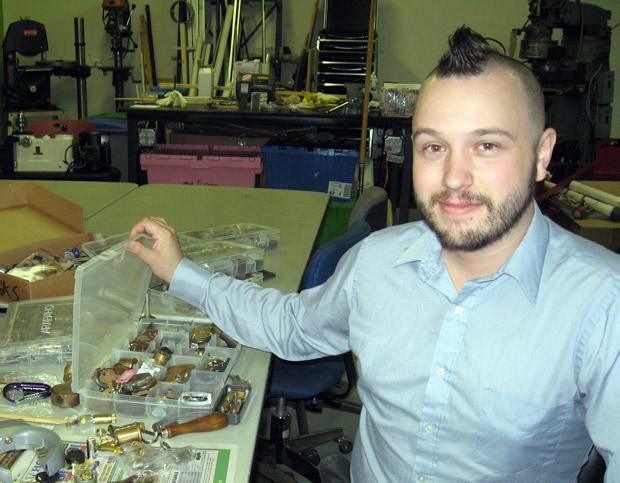 In Somerville, Towne started a locksport club. Six people show up for a recent meeting. They sit around with picks and locks, asking Towne for tips for getting them open. "Who doesn't like to learn secrets?" software engineer Andrew Gagne, 27, says. "And that's what this is. You're learning the secret of how the lock works." That's exactly what bothers Jim Pasco, executive director of the National Fraternal Order of Police in Washington, D.C. "Well, I'm unaware of any sport like, 'let's pretend we robbed a bank,' or something of that nature," he says, laughing. Pasco is bemused by a sport based on skills usually associated with breaking and entering. And he has concerns. "It would be a great place for a criminal, or would-be criminal, to educate him or herself on how to gain access to premises not his or her own," he says. Fact is, explicitly detailed lock-picking videos are all over YouTube. And, as with computer hacking, there is a shady side to recreational picking. But some people in the security industry actually defend locksport because pickers, like hackers, can help reveal vulnerabilities. "It provides a platform, a test platform, sort of an open critique of an idea," says John Loughlin, a mechanical engineer in New Jersey who designs high-security locks. When he finishes a new product, he has locksporters take a whack at it first. "So that things can be changed and tweaked and improved before a product might go to production," he explains. But most lock manufacturers are suspicious of locksport, according to Schuyler Towne. He's used to that reaction, though. 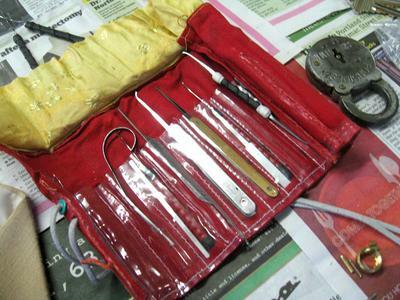 He says close friends, and even relatives, recoiled when he first confessed his passion for lockpicking about three years ago. "You have no idea the first time you open a lock the prejudices, even the emotional connection, to what a lock is supposed to be," he says. Towne said it helps that his mother picks locks now, too. She even sewed him a pretty little case for his custom-made tools. Now Towne, a graphic designer by day, is working on marketing his own line of recreational lock picks. But what really keeps him in the game is the challenge, and the thrill, of trying to open any lock faster than anyone else. This program aired on November 19, 2009.